Architectuur Lokaal along with A10 new european architecture cooperative have published their latest results of an EU Survey regarding architectural competitions in Europe. 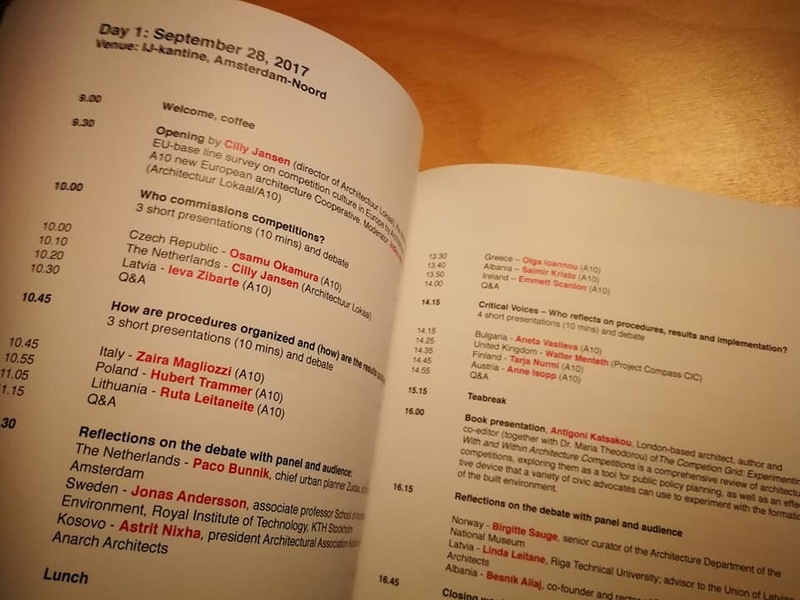 This issue constitutes their primary contribution to the discourse and is presented in this international conference in Amsterdam today. I am very happy to be part of this audience and share insights with the rest of the team. This volume is a valuable tool in understanding how the competition system works in Europe and I look forward to the next phase! The research is an ongoing project of Architectuur Lokaal and is programmed to be implemented over a period of four years with the aim to improve access to competitions, to analyze procedures, to establish a network of organizations and to collect case studies of good and bad practice.